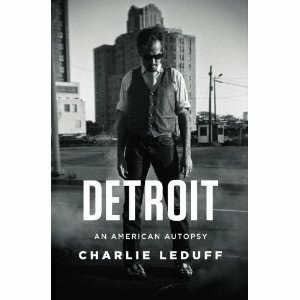 The Scarab Club will host the release of Charlie LeDuff's latest book, Detroit: An American Autopsy, this Friday, February 8. There will be readings at 6:30 and 7:30 p.m.
Are we experiencing Detroit memoir fatigue yet? I will probably read this nonetheless. Check out this excerpt, detailing Mr. LeDuff's run-in with recently-freed jailbird and former councilwoman Monica Conyers.